Most investors take it for granted that the emphasis on low fees and the benefits of index funds and passive investing were always part of the everyday investment options available to average investors. The impetus behind all of these pro-investor products and strategies were driven by the vision of one man: investment manager John Bogle, an industry veteran who spent 67 years watching, analyzing and critiquing the investment industry. Bogle, who died today at age 89, was a tough, principled investment professional who stood up for individual investors. He did this when few others in the investment industry did. To many investment firms, average investors were simply the targets of managed accounts or people who should be sold funds managed by the latest “hot” manager. Average investors were the intentionally uninformed people who should just pay commissions and fees and not ask questions. Bogle disagreed with this investment industry business model. He always was on the lookout for ways the investment industry was working to disadvantage average investors. As the founder and chief executive of the Vanguard Group in 1974, John Clifton “Jack” Bogle saw the benefit of broad market exposure when he created the first index fund in 1976. It was a revolutionary idea. Bogle was one of the first to point out that fees worked against investors. 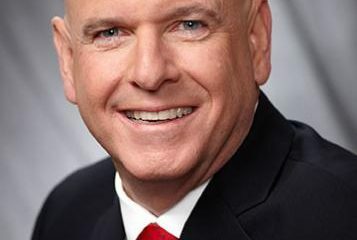 He noted “the obvious and documented inverse relationship between mutual fund costs and mutual fund returns.” This would provide the basis for most conflict-of-interest cases in the investment industry as funds sought to keep costs high as a self-benefit, while investors suffered a commensurate lower return. Bogle also saw the advantage of automation and how it could reduce fees and accelerate trade processing. As described in my book, in the 1970s and 1980, employee benefit plans (mostly pension funds) largely only offered high-cost annuities offered by insurance companies to employees. In 1982, Vanguard approached SunGard, an investment technology company, to changes its system to accommodate mutual funds. SunGard refused, so Bogle paid for eight of its employees to move to Birmingham, Alabama, to work on the conversion. As a result, mutual funds quickly replaced high-cost annuities and funds became the common offering in 401(k) plans. Decades later, the investment industry made the same false complaints when it was asked to alter its platforms to accommodate ETFs, some of which are cheaper than mutual funds. 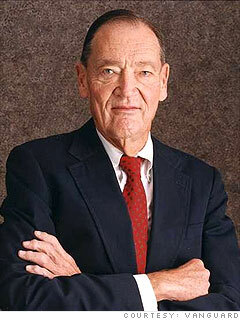 As a founder of Vanguard Investments, Bogle is credited with creating the first index fund in 1976. I dedicated my book, How 401(k) Fees Destroy Wealth and How Investors Can Protect Themselves, to him and he graciously acknowledge that dedication with a kind note. Problems stemming from excessive compensation and unbridled activities by investment bankers and financiers helped produce the stock market bubble of 1998 to 2000. Corporations are being managed for the benefit of their managers as opposed to the owners of the company stock. The more mutual fund company management makes, the less goes to shareholders. The nation’s major financial institutions have stopped acting on behalf of shareholders, while also failing to exercise their fiduciary oversight. From 1997 to 2002, investment bankers and brokerage firms earned fees of $1 trillion. From 1950 to 2004, the expense ratio of mutual fund increased over 100%. The higher a mutual funds’ expenses, the lower its returns. Mutual funds frequently act against the best interest of their own shareholders and in favor of the fund managers and the fund distribution company. There is a direct link between good corporate governance and good stock performance. These were facts that no one else in the mutual fund industry would ever publicly say. You will almost never see an investment firm CEO or president say anything remotely close to this criticism. Nor would few financial reporters have the capacity to process these criticisms and realize how profound they are. American investors lost a great friend today, while Vanguard Funds are the beneficiary of his vision, humanity, honesty and leadership. In a world of greedy investment managers and politicians, he had the stature of a character in a Frank Capra film. He made his factual criticisms known in an industry that worships the Golden Calf, yet he resisted the enticement of huge illicit financial gain. Instead, he created investment products that gave suckers an even break in a cut-throat industry. In the process, Bogle made millions of average investors a little richer since they could invest in broader market exposures at a cheaper price and with less risk. No one else in the investment industry can make that claim today. The trillion dollar investment industry should be ashamed that there is no one to take his place.